What happens when you, as a reader, find yourself rooting for the "bad guy"? That's the case in the first book of Richard Lord's quartet, The Strangler's Waltz. Vienna homicide detectives Julian Stebbel and Karl-Heinz Dorfner are investigating a series of strangling murders, helped by Dr. Sigmund Freud, who was the psychiatrist of the first victim, and a young street artist who witnessed the first murder and draws a picture of the strangler that helps the police identify the killer. Okay, here's the possible problem with the book. That street artist just happens to be Adolf Hitler. The "ick" factor of having Adolf Hitler as the character in a work of fiction as anything short of a mass-murderer is fairly strong. But is it a problem . . . or is it a sign of daring on the part of the author? I can't really decide, but I'm leaning toward interesting plot point. The Strangler's Waltz is only one of many mysteries and police procedurals where the "good guy" is actually almost as reprehensible as the criminal he is seeking. I stress "almost" because, in some cases, there's very little difference between perpetrator and cop. 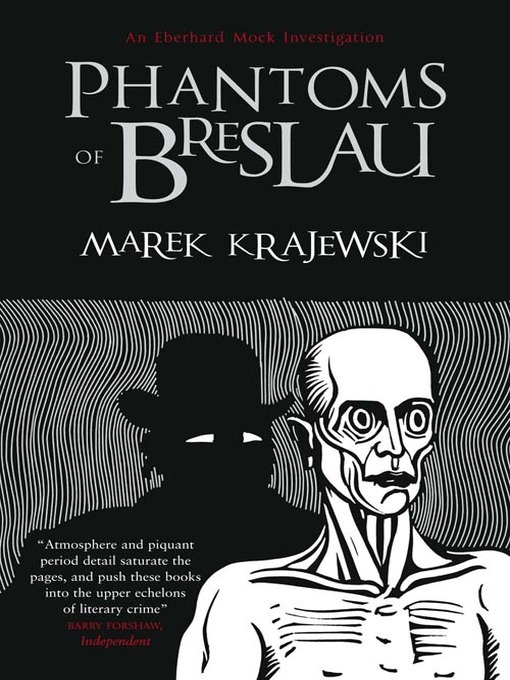 One good example of this is the policeman in the Inspector Mock/Breslau series by Polish writer Marek Krajewski. 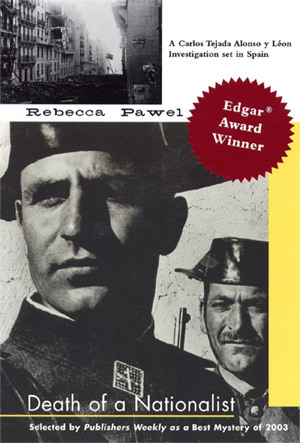 Another character who could be considered unsympathetic as a "good guy" is Spanish policeman Carlos Tejada in Rebecca Pawel's four-book series set in Spain in the 1930s and 1940s. (I wrote about this series earlier, here.) Tejada is a Nationalist––a police officer in the Franco government––and most readers would have been with the Republicans, on the other side of the Spanish Civil War. Rebecca Pawel writes with so much nuance that she makes Tejada a sympathetic character. The question the reader may ask is why such an upright man is working for an evil regime, but that just makes the books all the more interesting. Tejada is a man who firmly believes in the Nationalist cause, and I think the reader can respect his beliefs, even if not agreeing with them. There are other protagonists in crime fiction who may not be good, but their characters make––sometimes, anyway––more interesting books. What books/authors can you think of? Note: Portions of this blog post appear in my book reviews on Amazon, which appear under my username there. LJD'sG, thanks for the interesting post. Many of James Ellroy's good guys are almost as violent and twisted as the bad guys they chase. Carlos Tejada's creator, Rebecca Pawel, went back to Columbia last fall for her Ph.D. in English and Comparative Literature. She updated her website (and thanked you for your Read Me Deadly post) on March 15th. See http://rebeccapawel.com/. Thanks for the link and update to Pawels website. I can't believe she can't find a publisher for her two historicalal novels. There's so much dreck being published, and she's a proven writer. I know. Pawel's Tejada series features a complex protagonist in a fascinating setting and her difficulty finding a publisher for other novels of historical fiction flabbergasts me. I would love to read another novel by Pawel.